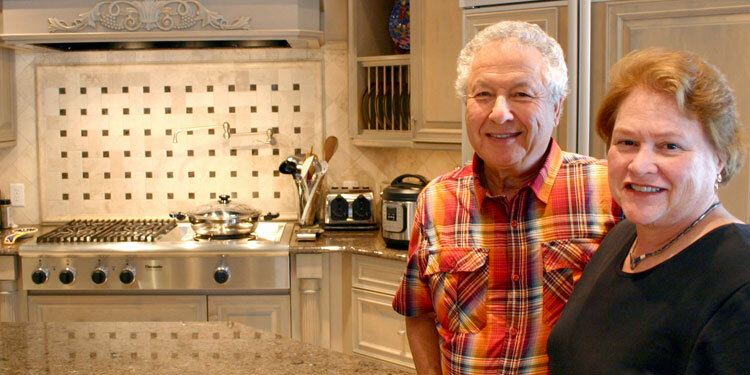 For Arlene and Milt Berkman, living healthy is a way to live well. They adhere to a vegan diet and have all the vim and vigor of couples half their age. Arlene’s blood sugar has dropped from 135 to 107. Milt, 74, has lost about 20 lbs. During the past four and a half years he has gone totally vegan. His blood sugar runs around 80. WebMD says normal blood sugar is less than 100; prediabetes is 100-125; and diabetes occurs if your blood sugar is 126 or higher. Going vegan means no fish, meat or dairy products. The Berkmans have gone on health- and diet-oriented cruises and they’re adherents of the Physicians Committee for Responsible Medicine which recommends a vegetarian diet. The key to a sustainable vegetarian or vegan diet, according to PCRM, is a variety of foods, including fruits, vegetables, whole grains and legumes. The Harbor Light residents are educators: Arlene taught high school health and physical education in New York and New Jersey; Milton, a dentist in New York, also taught a team approach to dental problems at the University of Pennsylvania and New York University. Arlene is the founder of the Foundation for Respect Ability, an anti-bullying non-profit that is used by Charlotte-Mecklenburg Schools. The Berkmans’ diet emphasizes complex carbohydrates, including protein-rich beans, but no oil. They shared a recipe for a delicious vegan chili that’s a huge hit at their Super Bowl party every year. How do you like to entertain? “Dinner parties no larger than eight people so that everyone is part of the conversation. The beauty of entertaining at home is that you can hear one another and you are not rushed to leave. I also like to entertain on my porch, if it is not too hot, and hear the lake sounds. Unfortunately, ever since I started the Foundation for Respect Ability the dinner parties have taken a back seat. Wherever possible use organic. Saute all the above in a deep pot till they are slightly brown or translucent using vegetable broth low sodium. Keep adding broth as needed to avoid browning. Surprisingly you will not need a lot. You want them to have some crunch. 1 (11.5oz) can V8 juice low sodium. Mix it all together and see if you want more or less liquid. if you want more liquid, add vegetable broth. I finally found a Chili recipe that I can make! I do not eat meat (just seafood). This looks fabulous! I really enjoy vegan foods. What a great kitchen to cook in. I will try this over the weekend.